Unai Emery has twice worked with Banega, first at Valencia and then Sevilla. Arsenal hope to sign Ever Banega and are willing to trigger the midfielder’s release clause, according to reports. The Gunners have performed impressively throughout the opening half of the season, and they currently sit fifth with a top four finish still well within their grasp. However, Unai Emery, the Arsenal manager, hopes to further strengthen his squad in January to guarantee qualification for next season’s Champions League. 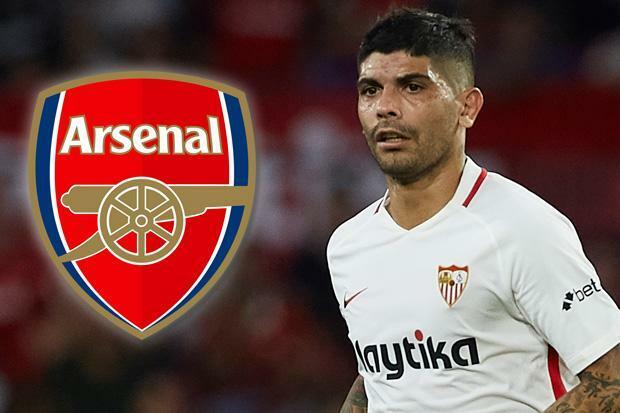 And Emery hopes to bring a player he has worked with twice before to the Emirates – Ever Banega. Be the first to comment on "ARSENAL SET TO LAND UNAI EMERY FAVOURITE PLAYER IN £18M JANUARY TRANSFER DEAL – DONE DEAL"